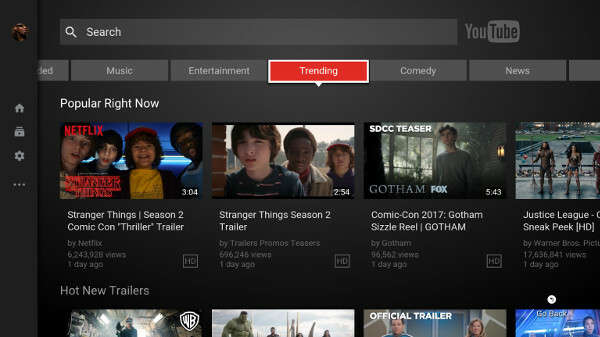 The YouTube App you’ve come to know and love on SHIELD TV is getting a major update that should be hitting your SHIELD device very soon. 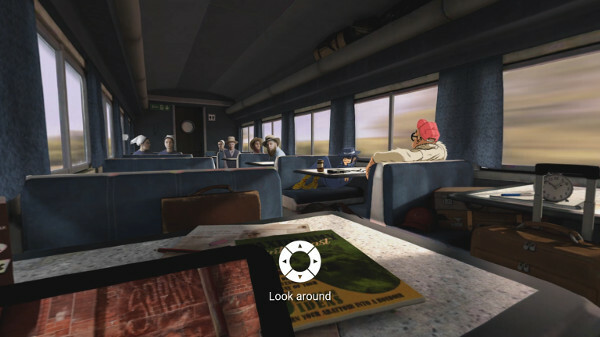 The roll-out has started, and will include a plethora of changes including support for YouTube 360. Earlier this year we announced that YouTube 360° video would be coming to your TV via SHIELD with more natural controls using the very controller that’s bundled with your SHIELD. Well, this new update brings this exciting feature to the world’s fastest media streamer. 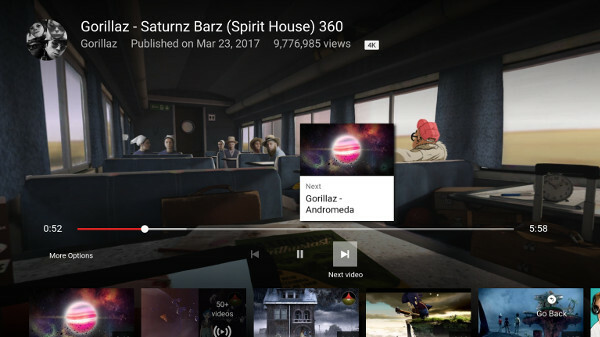 While support for YouTube 360° has historically been limited to videos already created and edited, this update brings 360° video support to live streams as well. The first thing you’ll notice after you fire up YouTube on SHIELD is that the navigation menu on the left side is a lot more streamlined. Simply put, YouTube opted to remove the entire list of channel subscriptions which cleans up the experience tremendously. When you collapse the navigation menu you’re presented with a column of sleek icons that appear on top of a transparent background. As you scroll through the icons, slides appear, displaying whichever option you’ve highlighted. One area with a fair amount of feedback was making it easier to identify who was logged in. Prior to the update, the simplest way to find this info was through recommendations. We’ve all clicked on “History” only to think, “What are these videos?” Well, with this update, YouTube shows the signed-in account at the very top. Sticking with the theme of improving the “user experience,” SHIELD owners will welcome the revamped interface that makes your selections more clear. This new, updated theme boasts slightly darker shades in the background and uses white backgrounds to highlight selected elements. Additionally, the top of the Home screen now displays a row of areas of interest. There you’ll find your individual recommendations as well YouTube Red Original programming. Following those you’ll be presented with broader topics like Gaming, Food, and Beauty. Since YouTube is all about video, we’re pleased with the updates to the video player and search UIs which also underwent makeovers. Gone is that huge red control bar meaning that more of the actual video that you’re watching is visible. Additionally, the YouTube team updated the autoplay feature meaning that the next video no longer starts automatically, but rather, there's now a five second buffer that gives you time to play a video of your choosing or even pause video playback. 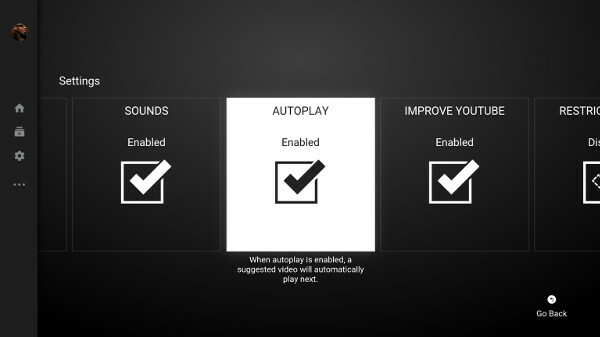 You can also disable autoplay entirely. In previous versions of the YouTube app on SHIELD, there were buttons which allowed you to skip forward and backward in a video. In this update, these buttons have been replaced with Next and Previous. When you select one of these buttons you’re presented with a thumbnail image of the video being shown and what to expect at the new location. 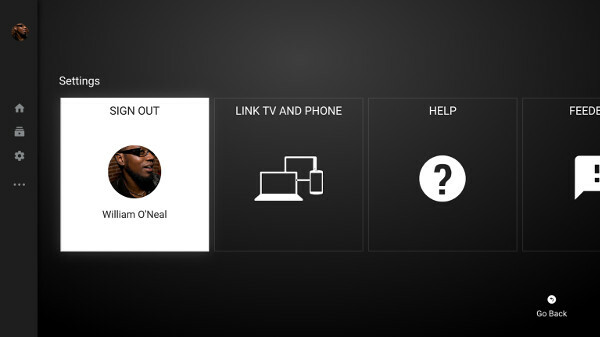 This is a feature that is common in other streaming video apps like Netflix and Hulu. Additionally, the buttons that used to reside below the big, red control bar which allowed you to like or dislike a video are now hidden and are revealed by choosing the More Options button. Lastly, the Settings screen has been radically redesigned. The YouTube team has replaced the grid of small tiles with a row of large tiles that span to the right as you move through the menu. So there you have it. YouTube fans will no doubt welcome many of the user experience changes that are present in this update. Of course, if you haven’t already joined the SHIELD family then what’s stopping you?! Run out today and grab an NVIDIA SHIELD TV.